September is National Honey Month. Honey is a blend of sugar, trace enzymes, minerals, vitamins and amino acids that has antibacterial, anti-fungal and antitoxin properties. It is one of the oldest food sources we know. The oldest remains of honey were found in the country of Georgia. Archaeologists found honey remains on the inside surfaces of clay vessels in an ancient tomb dating back some 4,700 to 5,500 years. Ancient Egyptians left hieroglyphics about honey and beekeeping in an ancient Sun Temple near Cairo. Jars of edible honey were found in King Tut's tomb. Honey is as old as written history, dating back to 2100BC where it was mentioned in Sumerian and Babylonian cuneiform writings, the Hittite code and the sacred writings of India and Egypt. Around 2000BC the ancient Chinese used honey for medicinal purposes. A thin coat of honey can be applied to the skin to disinfect and heal minor skin wounds and chapped lips. Honey was highly valued and often used as a form of currency, tribute or offering. In the 11th. century AD, German peasants paid their feudal lords in honey and beeswax. It was also used to make cement and in furniture polishes and varnishes. The name "honey" comes from the English "hunig", and was the first and most widespread sweetener used by man. "Honey" pops up in the Bible 61 times. In the old testament, Israel was often referred to as "the land of milk and honey". There are more than 300 distinct varieties of honey. The taste, color and consistency of honey depends upon the flowers the bees use as their source of nectar and pollen. Most honeys will crystallize over time. The rate of crystallization depends upon the specific levels of water and the two sugars in honey, fructose and glucose. Crystallization actually preserves the flavor and quality characteristics of honey. Many honey users prefer it in this stage as it is easier to spread on bread and toast. Honey contains 20% water and 70% carbohydrates, which means the water contains a much greater amount of sugars that it can naturally dissolve, resulting in an unstable super-saturated sugar solution. Glucose is the underlying cause of crystallization because of its lower solubility compared with that of fructose which has a high solubility rate. Honey can be re-liquefied by warming the container in moderately hot water, not above 140 degrees, as higher temperatures will destroy the flavor and color of the honey. It will not spoil so refrigeration is not necessary or desired. Store it in a dry place at around 70 degrees Fahrenheit. Acacia and Tupelo honeys take a long time, if ever, to crystallize. Biologists estimate it takes 2 million Tupelo tree flowers to produce 1 pound of honey and one honeybee produces about 1/12 of a teaspoon in its lifetime! WOW!! Tupelo trees, found in Northwest Florida and Southern Georgia, blossom for 3 to 4 weeks in late April to May. A film, directed by Victor Nunez in 1977, called "Ulee's Gold" starring Peter Fonda, depicted the harvesting of Tupelo honey in Wewahitchka, Florida. Nunez used the Lanier family, a 3rd. generation beekeeping family, as "bee consultants" and their swamp lands and bee yards as filming locations. The film was the "Centerpiece Premiere" at the 1977 Sundance Film Festival. Fonda won a Golden Globe for his performance and was also nominated for an Academy Award for best actor and a Screen Actors Guild award. The famous Scottish liquor Drambuie is made with honey. Also made from honey is Mead, AKA "honey wine", believed to be the world's oldest alcoholic libation. It was called "nectar of the God's", and is featured in many Germanic myths and folktales such as Beowulf. Mead's flavor depends on the type of honey used in its production. Traditional Mead often uses a mild honey such as orange blossom, clover or acacia. Wildflower, blackberry and buckwheat honeys produce great results with sturdier, spiced Meads. They all can be sweet, dry, still or sparkling. Sweet Mead is the original aphrodisiac. The origin of "honeymoon" harks back to the medieval tradition of drinking honey wine for a full moon cycle after a new marriage. It was thought to insure a fruitful union bearing plenty of children. This Mead based "insurance policy" was taken so seriously that a bride's father included a month's worth of Mead in her dowry. Queen Elizabeth has been known to throw back a golden goblet or two of her favorite Mead made with rosemary, thyme, bay leaves and sweet briar. King Midas' tomb revealed ancient drinking cups with a sweet Mead residue. Currently there is a resurgence of Mead craft. There are now almost 250 Meaderies in America. Honey can contain Clostridium botulinum. This is not harmful to adults and children over a year old, whose gastrointestinal tract is developed enough to deal with the spores. But children under one year should never be given honey, as they are at risk of contracting infant botulism! 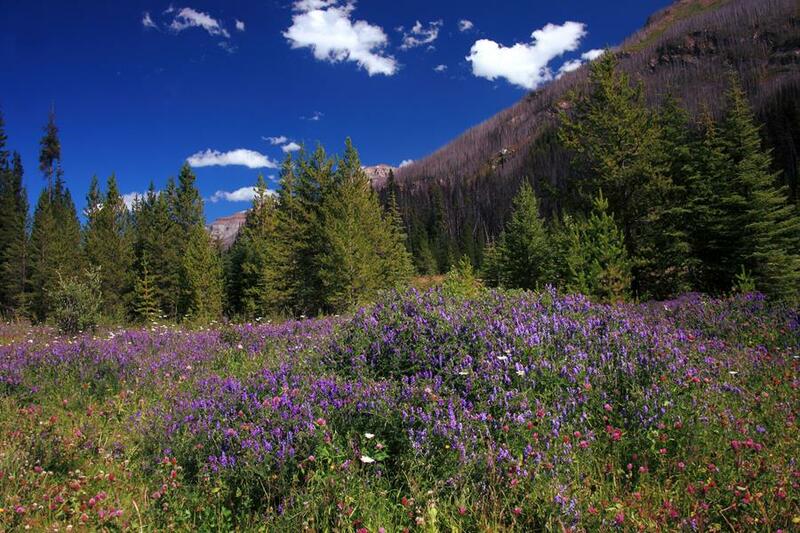 Lovely Meadow was taken in Kootenay National Park in British Columbia, Canada. The local bees were having a wonderful time collecting nectar and pollen in these colorful wildflower fields. The many clover blooms were loaded with bee visitors! 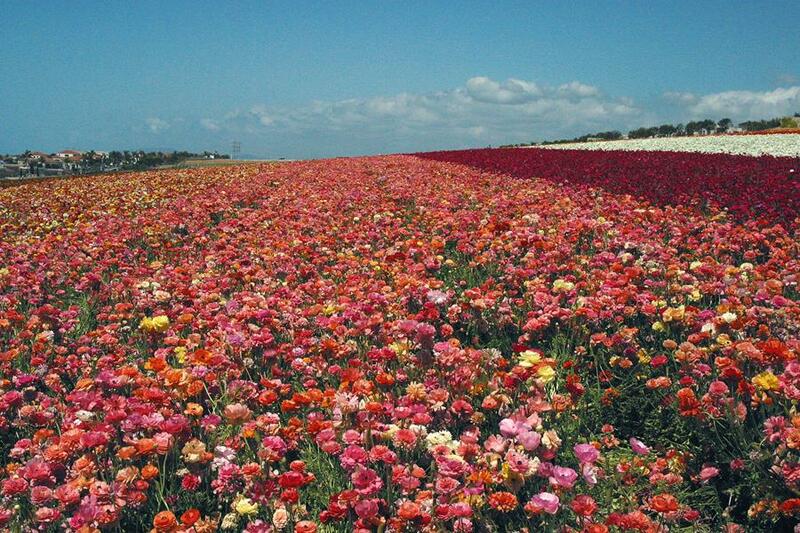 Endless Color was taken in the Flower Fields of Carlsbad Ranch in Carlsbad, California. The flowers are Giant Ranunculus. About 20% of the flowers are cut and sold as bouquets. The rest are harvested and sold as bulbs for future flowers. We were standing in the middle of the fields. This scene was duplicated on the other side of the road with another mass of flowers. The bees were having a heyday!! These images are available in table top to wall size, triple matted and with or without a frame. The matted versions are yours at a 10% discount and the framed matted versions in sizes 11x14 and larger can be yours at a 15% discount. Visit our website, www.throughthelensoflee-margaret.com for available sizes and prices. Stop by and see us on Monday through Friday from 10a.m. to 12 noon and 1:30p.m. to 5p.m. The gallery is open for arranged Saturday appointments. Call us at 904-387-8710 to schedule your special visit. Come see us and order now.